This is now our second Christmas overseas, and it turns out I didn't like it any less than last year. Although I suppose I wasn't quite as into my holiday menu, since it was literally the exact same as last year, and I made it TWICE for two different sets of guests. We did try something new at our holiday parties this year (I guess having more than one is new too). 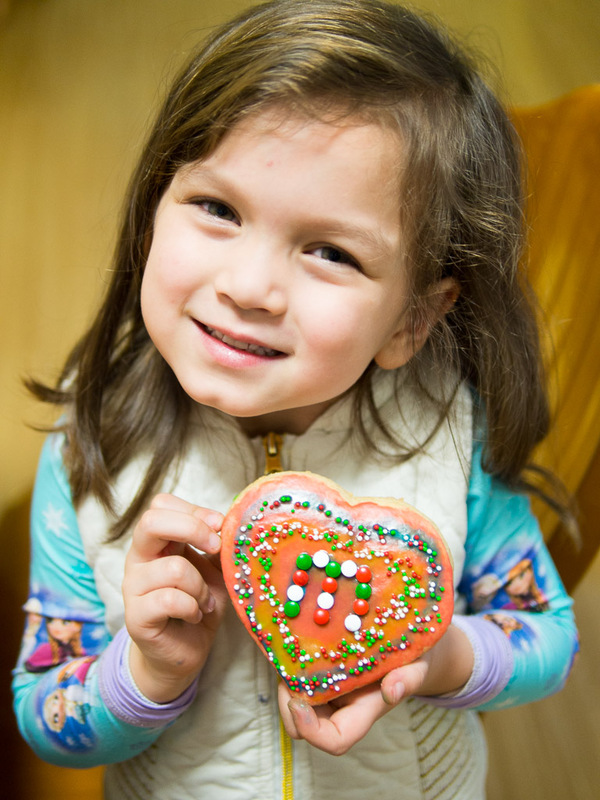 This year we decorated sugar cookies with our guests! And wow, it was a big hit! Even the guests I didn't expect to be into it (a middle-aged very proper lady and a young gamer guy) had a lot of fun with it. So I guess we'll keep doing that! It also did save me some prep work since last year, we decorated them ahead of time and then gave them as gifts to our guests. 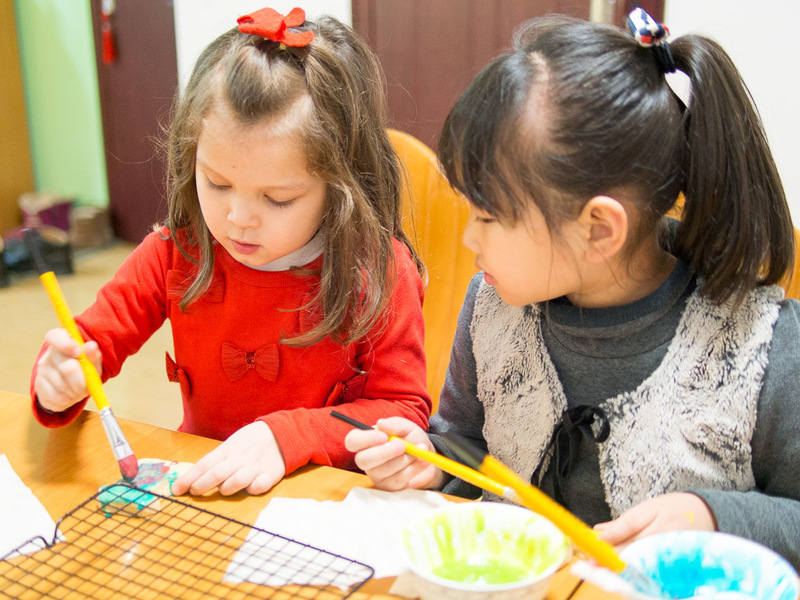 M decorating cookies with her school friend. By the time Christmas morning arrived, I was pretty exhausted. And we did nothing all day on Christmas except open presents and stay in our pajamas. And eat a lot of leftovers. 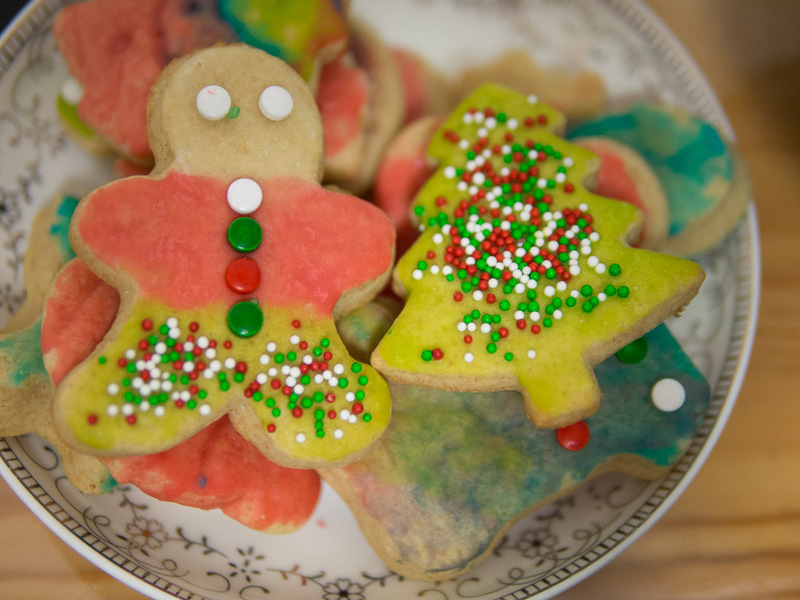 Also they turned out to be really skilled cookie decorators. Okay, well I did continue the tradition of cinnamon rolls on Christmas morning, but since the bulk of that was made the night before during one of the holiday parties, it didn't feel like work on Christmas day. H did have some complaints about all my fancy meals being made for other people before Christmas and then on Christmas all we do is eat leftovers, but I think he was exhausted enough from all the hosting that he didn't hardly mention it on that day at all. The kids opened all their presents Christmas morning, which there were quite a lot of since H and I had both made quick trips back to the States for weddings and had come back with big deliveries from grandparents. 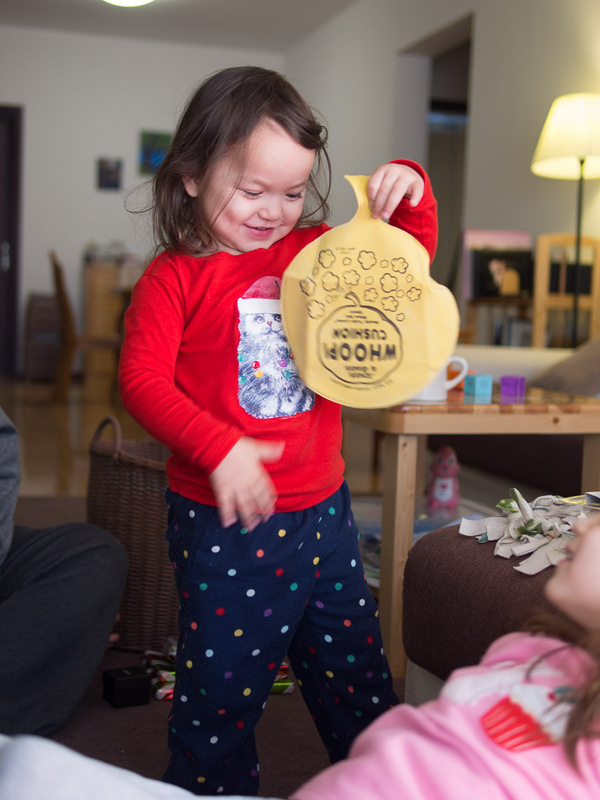 As you can see in the above picture, E got a whoopi cushion, which she thought was hysterical and wanted to demonstrate to everyone who came over. 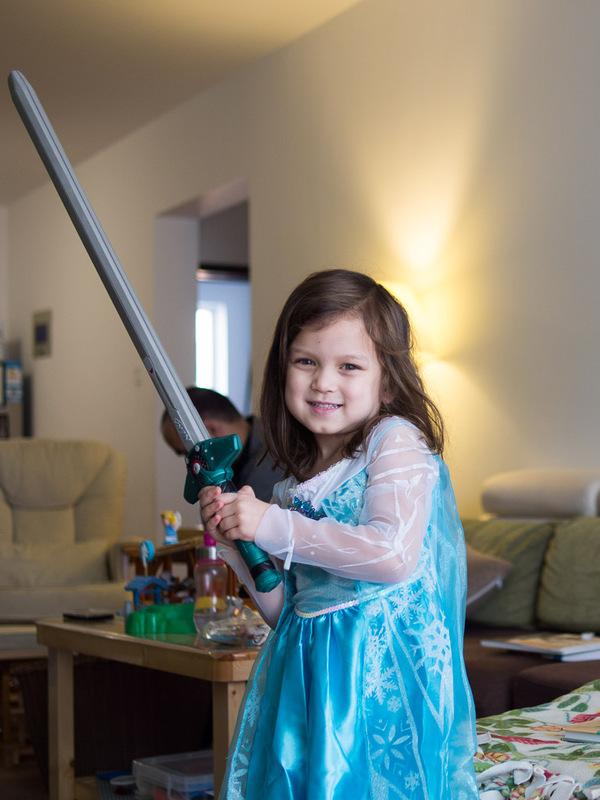 We also got the kids each a Nerf sword, which they figured out how to use right away. After all those months of watching Zelda earlier this year, they were really into the swords. E also got a little trampoline and M got a bike, but I don't have any pictures of those. 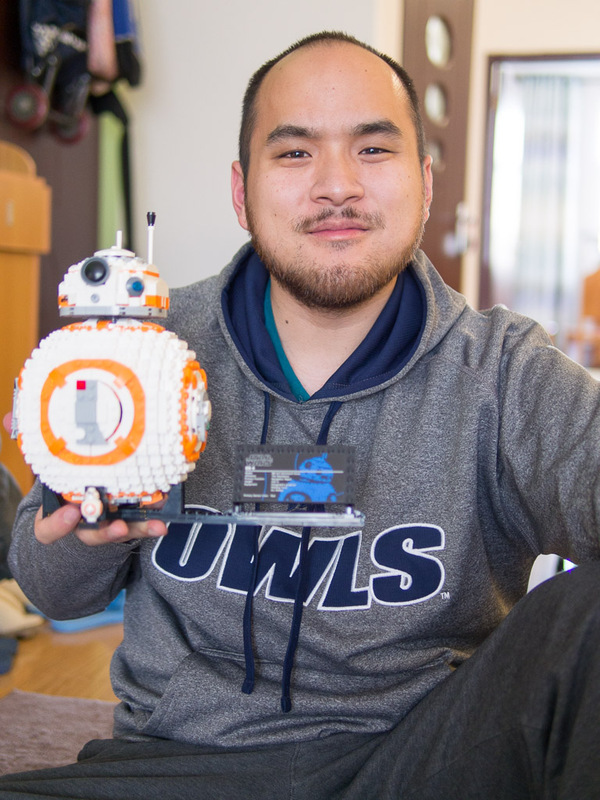 The kids weren't the only ones with Legos. I think our biggest surprises were that I was the only one that didn't get Legos (the surprise being that H did, we all knew the kids would). And that somehow H's parents, my parents and me all bought Star Wars gifts for him without coordinating that at all. Weird, right? My next post will be about our time in the US!